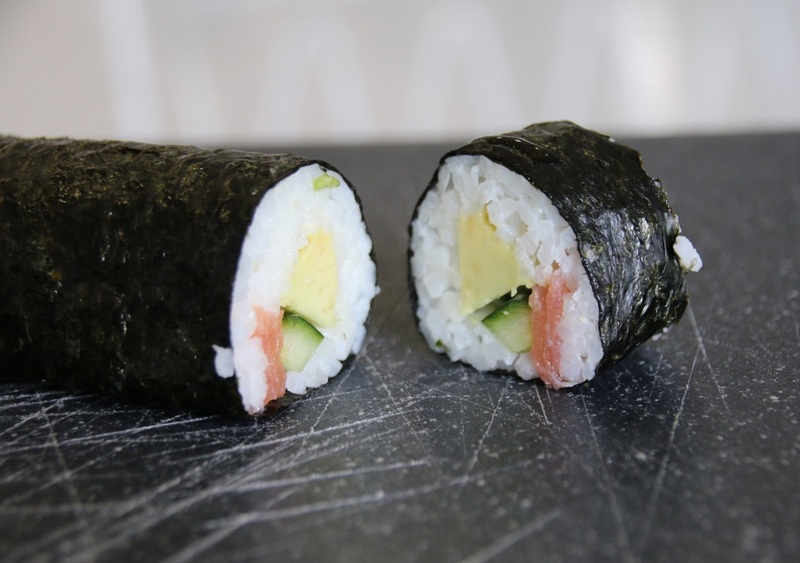 Making Sushi Rolls is easy once you get the hang of it. A little practice on one or two rolls it all it takes. 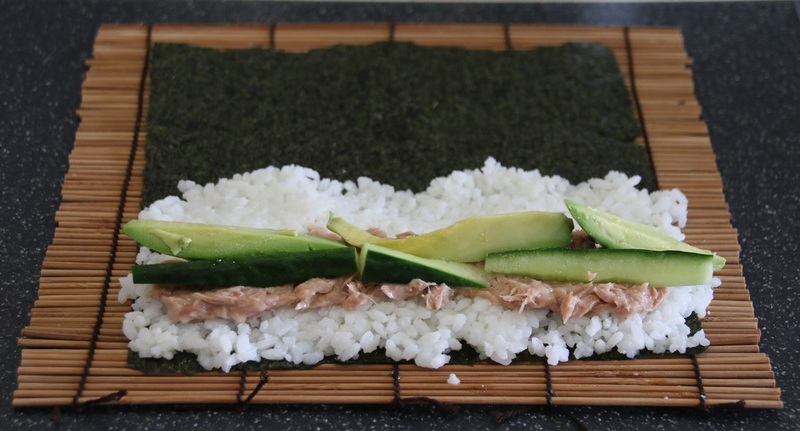 Cucumber, seeds removed, sliced. You can peel it to if you prefer. 1. 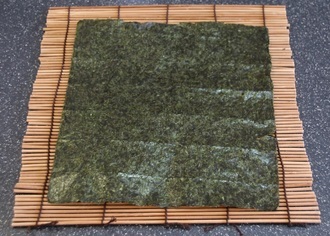 Place the nori (seaweed) sheet onto the bamboo mat, shiny side down. 2. 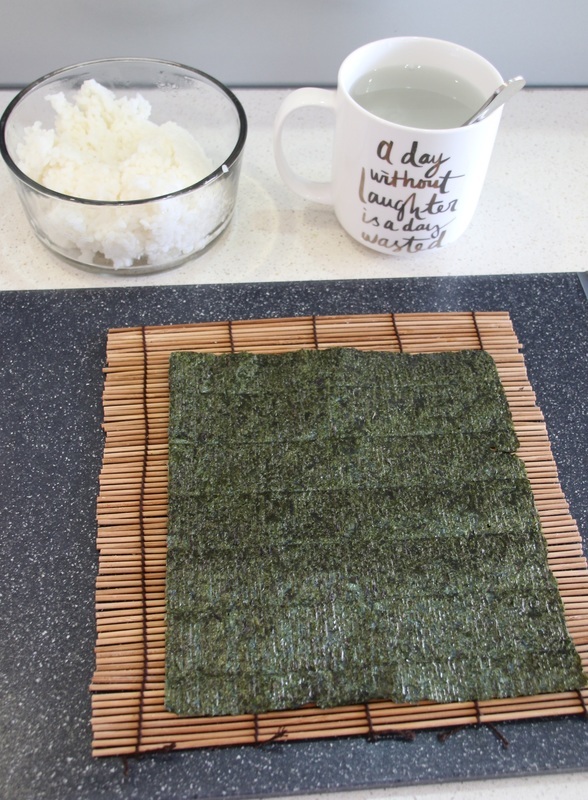 Add sushi rice to the bottom third to half of the nori sheet. 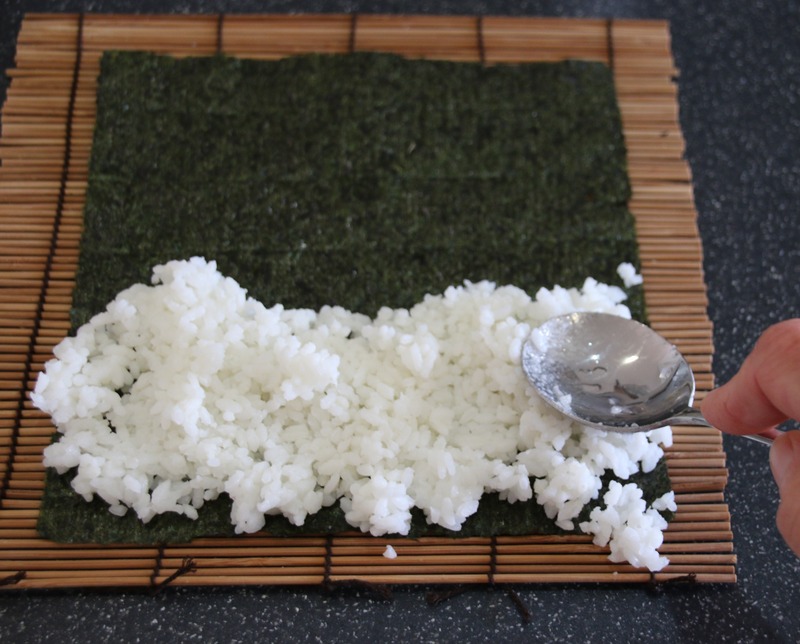 Flatten down the rice onto the nori using the back of a WET spoon. 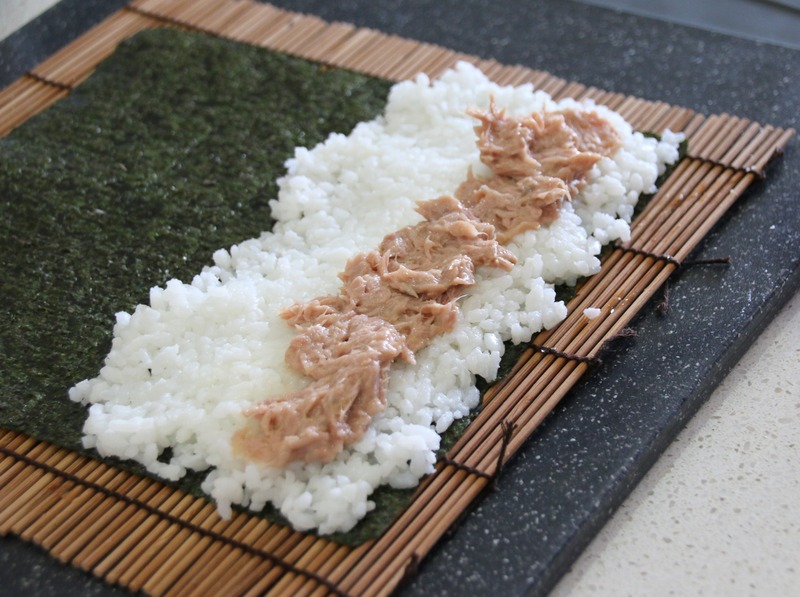 ​Dip the spoon regularly into the water to keep it wet and stop it sticking to the rice. 3. 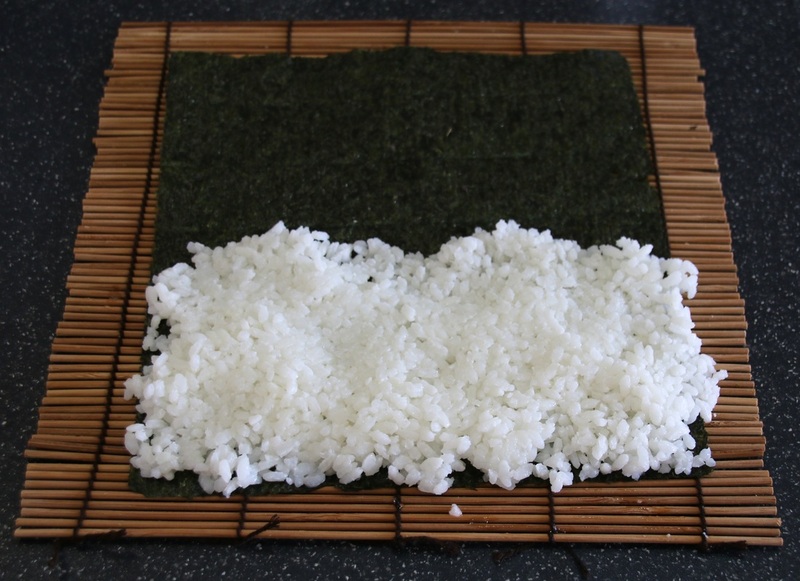 Add your desired toppings, towards the edge of the rice, as shown. 4. 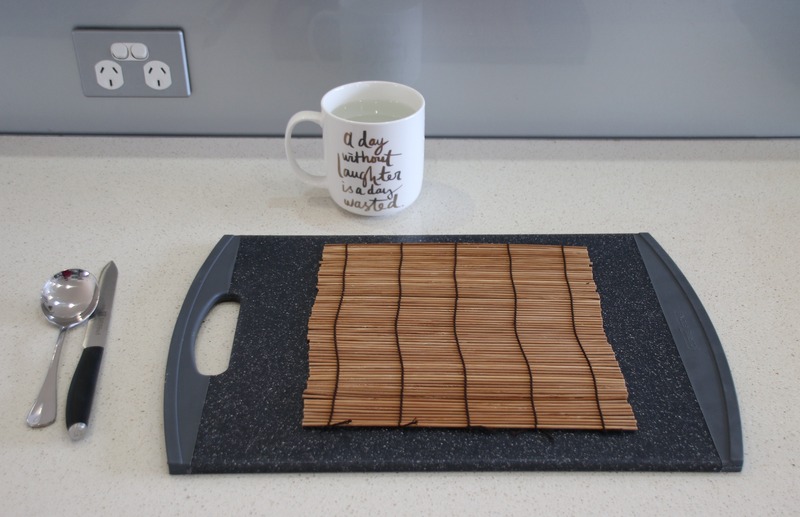 Roll it up using the bamboo mat. 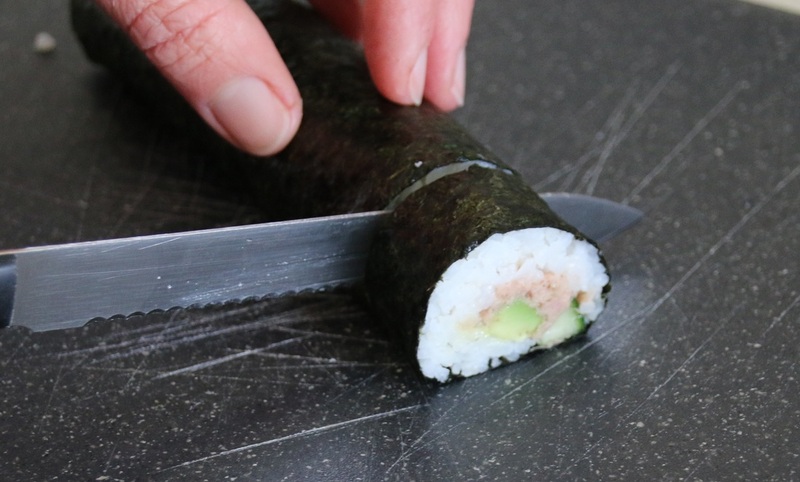 ​Push the ingredients into the roll with your fingers if required. 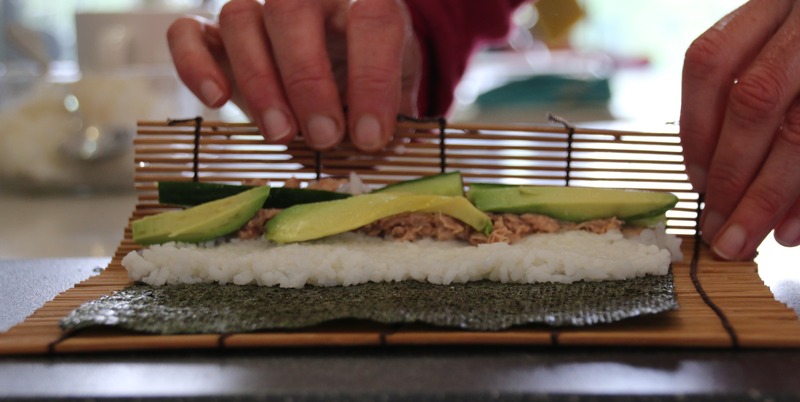 ​After one roll, use the bamboo to push back and tighten the ingredients into the roll. 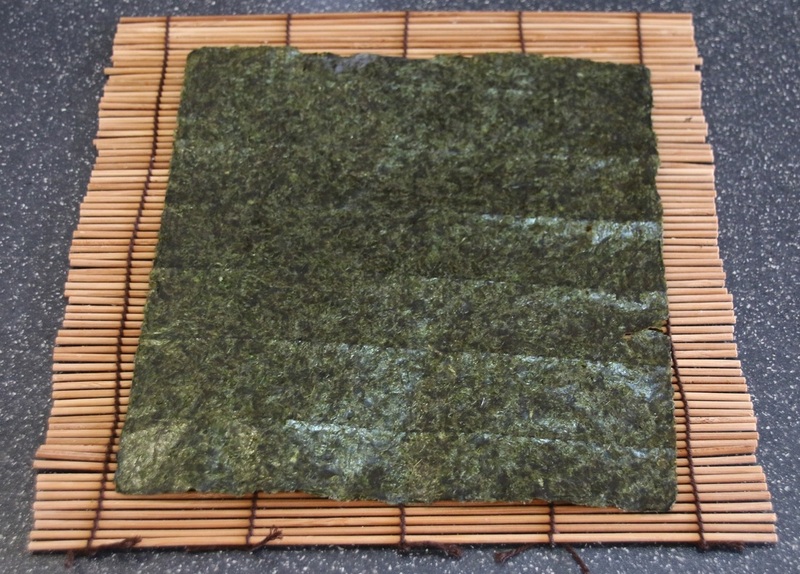 ​Wet the nori in front of the rolled section with water. 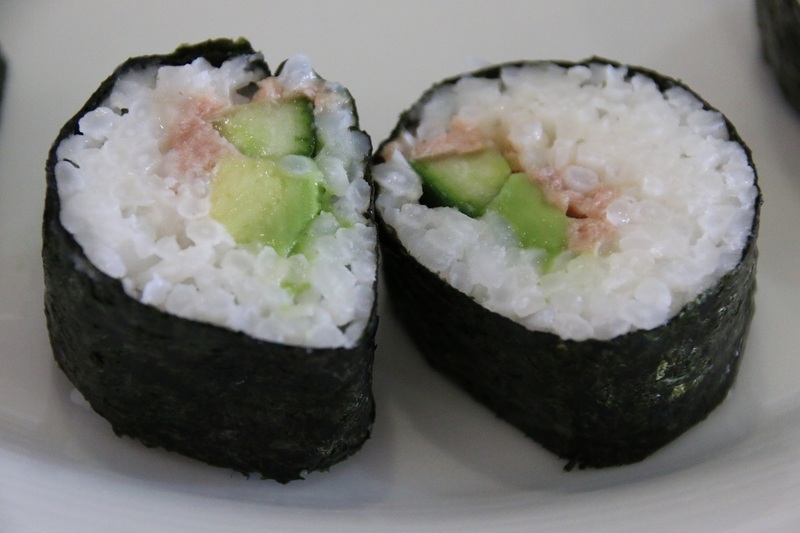 Keep rolling and wetting until the roll is finished. 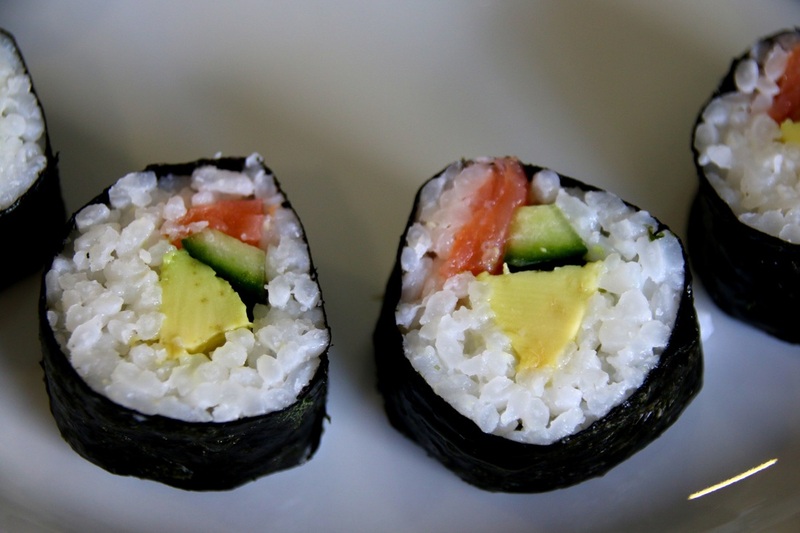 Push the ingredients into the roll with your fingers if required. After one roll, use the bamboo to push back and tighten the ingredients into the roll. 5. Fill in the ends (optional). 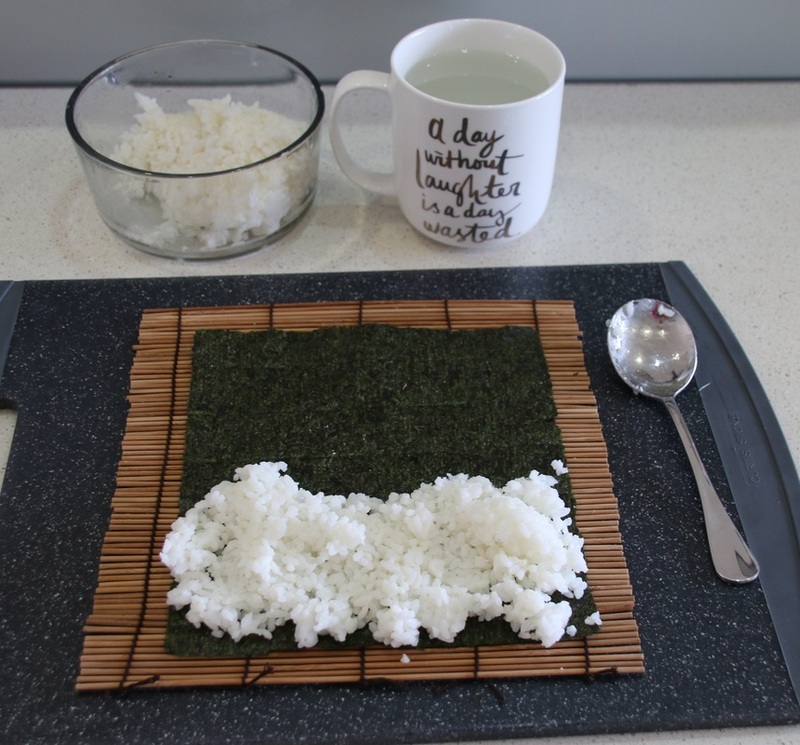 I like to do this because it makes the ends neat, easy to cut and looks nice on the plate. 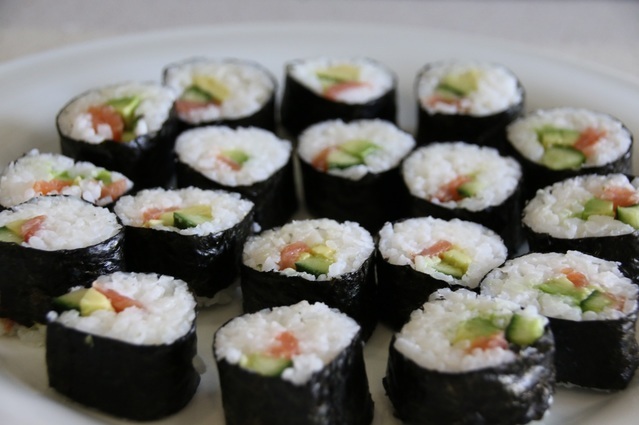 But you can just chop off the ends and eat them! 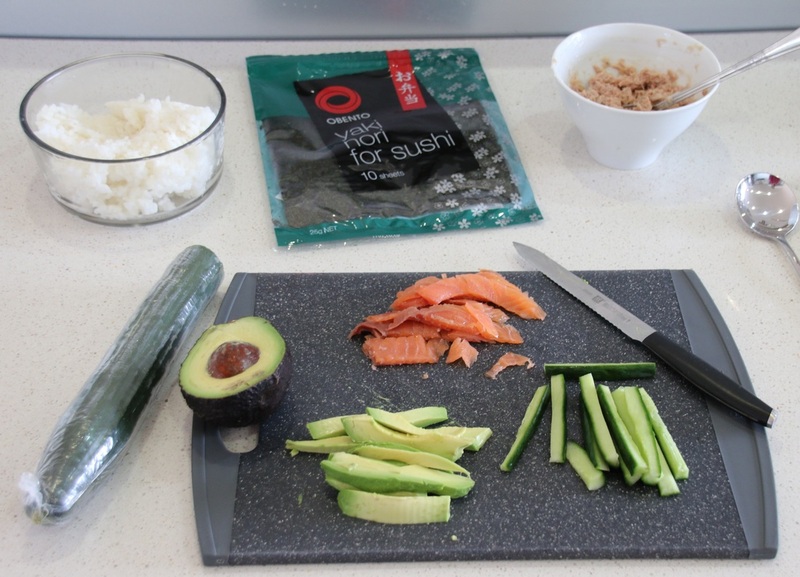 Use a WET knife to push a little extra rice into the end to fill any gaps. 6. 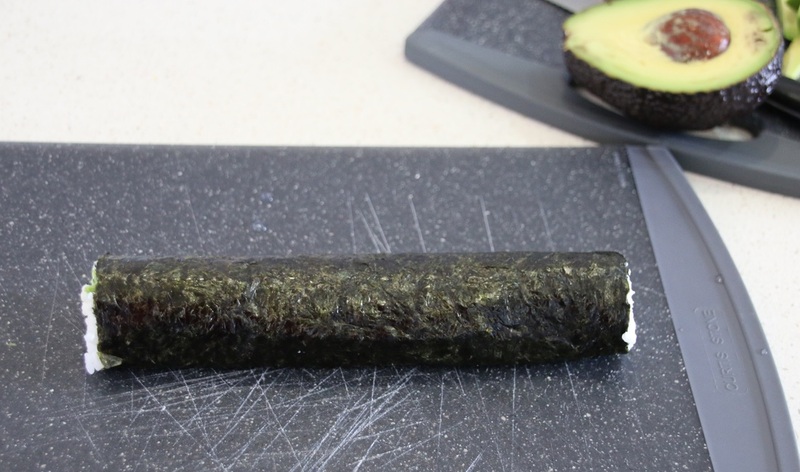 Cut the Roll into slices. 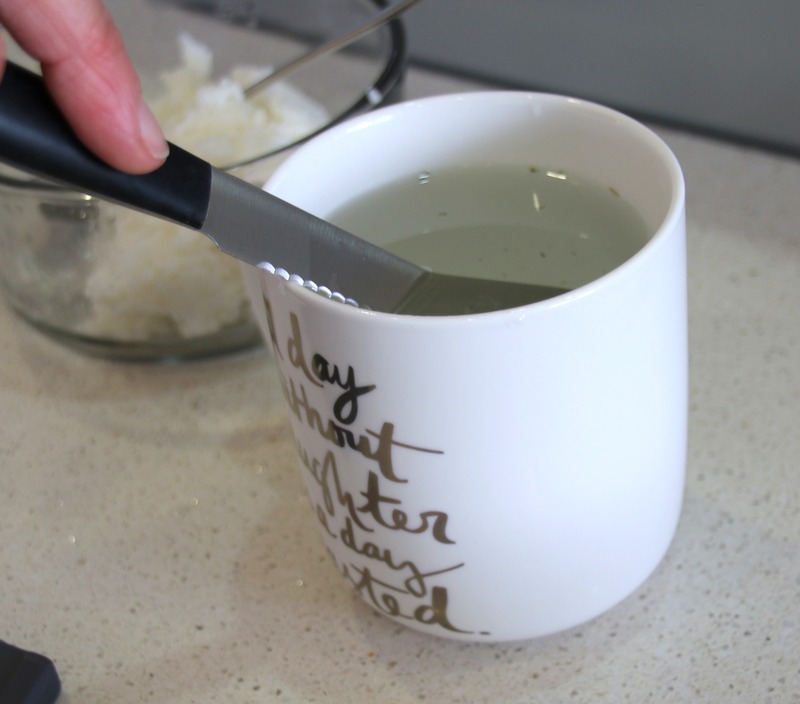 Wet your knife before each slice for a cleaner cut. 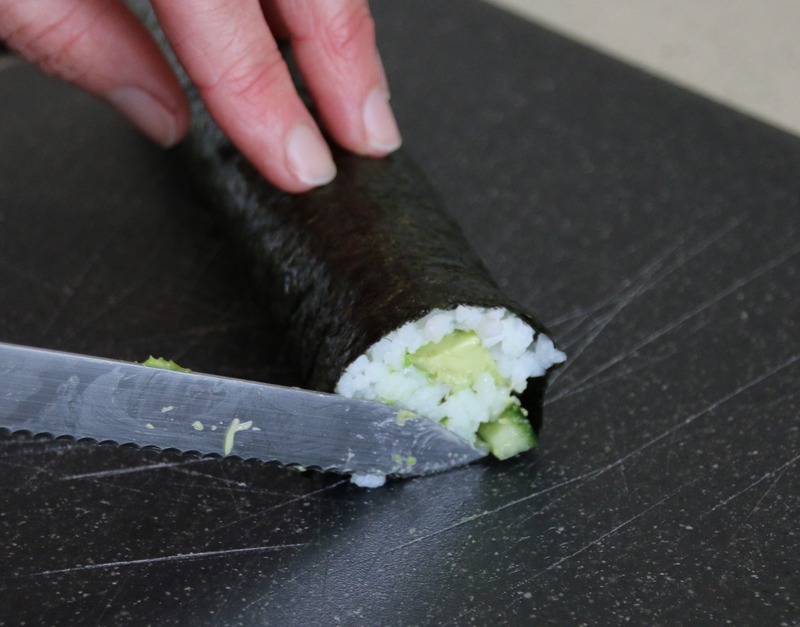 Wet your knife each time for a cleaner and easier slice. I've also made a short video showing how it's done.